As co-founder of the IoT Alliance Australia, Frank drove the establishment of the Alliance, enlisting and engaging stakeholders across a wide spectrum. Frank has worked in the telecommunications industry, in Australia and overseas, for the last 33 years. 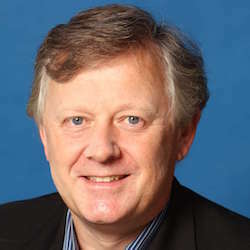 Frank is a member of the Knowledge Economy Institute, based at UTS, the Australian Computer Society Data Taskforce, runs the Digital Technology Advisory, Creator Tech, and is an active member of the board of Telsoc. John Stanton is a communications industry executive with more than 25 years of experience. From 2006-2009 John was CEO of ASX and NZX-listed telecommunications carrier, People Telecom. Under his leadership, People Telecom became profitable and was recognised as Best Regional Service Provider in the Australian Telecom Awards 2007. John was a senior executive with Intelsat, the largest provider of fixed satellite services worldwide from 1999-2005. John joined Telstra from 1992-1999, following the merger with OTC, where he was Manager of Public Affairs. 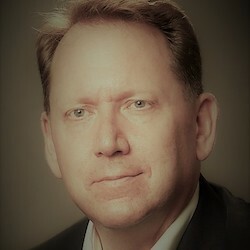 Paul is a Director in KPMG’s Internet of Things practice, and lead for Smart Cities and Connected Campus, working with clients to tap into the forecast $120 billion uplift in annual economic impact from IoT by 2025. 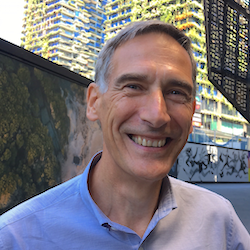 Paul is a member of the think tank IoT Council, is active in the Australian Smart Communities Association ASCA and writes on emerging technologies, including IoT, M2M and smart cities. Paul has over 20 years’ experience in industry and consulting across Europe, the US and Asia-Pacific. Previously he was a Director with another big 4 consulting firm, CTO at a global industrial IoT organisation and Director for a leading digital agency in the UK. A global expert in smart cities & digital transformation, Catherine is founder of Giant Ideas for Smart Cities and a Director of Meshed, a Sydney based IoT integration company. Catherine was recognised in Knowledge Nation as one of our leading thinkers in big data & smart cities. 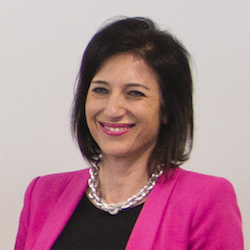 Catherine was Director of IBM’s Smarter Cities business for ANZ and held executive positions for PMP Limited, Telstra and MC2 Consulting. She has launched successful internet businesses such as yellowpages.com.au and whitepages.com.au. Catherine is on the Advisory Board for UoW SMART Facility and is an advocate for ESTEAM. Catherine holds qualifications in urban planning, economics, management and finance. Peter is a commercial lawyer and consultant on data and technology commercialisation, including data sharing, data analytics and associated risk management and regulation, including privacy, surveillance and data protection. Ranked as a leading technology and data lawyer in all current global legal directories, Peter was voted Best Lawyers’ ‘Sydney Information Technology Lawyer of the Year for 2016’. 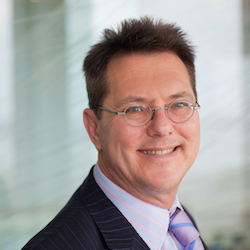 Peter is also Chair of the Privacy and Communications Committee of the Law Society of New South Wales and a former global chair of the Technology Committee of the International Bar Association. Peter recently retired as a partner of Gilbert + Tobin, of which he was a founding partner and partner for 27 years. Matt is MD of Enex TestLab, an independent testing laboratory, and Chairman of Enex Carbon security consultancy. Matt has a technical background in network and security systems and holds security certifications: CISSP, CISM, CSEPS and CISA, Government and Police Contractor security clearances. He is a member of ISACA and (ISC)2. Matt provided advice for the Attorney General Department’s Stay Smart Online program (www.staysmartonline.gov.au). 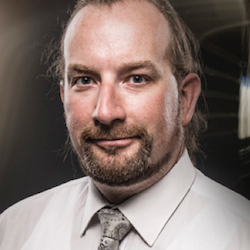 He serves on the Communications Alliance Cyber Security Reference Panel (CSRP), the Internet Australia Cyber Security SIG, and is a member of the research advisory committee for the Internet Commerce Security Laboratory at Federation University. David has over 20 years of industry experience in senior leaderships roles with recognised IT brands KPMG Consulting, Microsoft and Hitachi Solutions. David created his own successful IT start-up, built it to being a global award-winning business and then sold it. Currently a Post-Graduate Fellow at the University of Sydney, David teaches there and at UNSW in the areas of innovation, business applications, digital business management and accounting information systems. David’s research areas are the Internet of Things, business models and innovation. He has presented his work on IoT architecture at the American Conference on Information Systems https://goo.gl/M5nake, and has recently published IoT Strategy for Business Directors, https://goo.gl/R9XTnv. Matthew is a project manager, consultant and innovator with nearly 20 years’ experience in digital, mobile and the Internet of Things. His experience includes work with corporates, government agencies and start-ups across Australia and in the USA. He has managed the delivery of some of Australia’s largest and highest profile eCommerce projects and was previously Mobile Lead in the Digital Innovation team at BOC Gas (a member of the Linde Global manufacturing group). 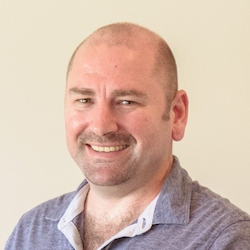 A graduate of the inaugural CSIRO OnConnect IoT Accelerator program, Matthew is currently Director of Milcane Consulting where he helps organisations, including start-ups to manage digital and IoT projects. Geof has over 40 years’ experience in the telecoms sector, working recently in broadband enabled business models, the emerging digital economy and the Internet of Things across the Asia Pacific. He co-authored Enabling the Internet of Things for Australia, Seizing the Internet of Things opportunity for Australia and Australian Industrial Internet of Things Capability Mapping Report for Austrade. Geof sits on the IoTAA Executive Council, chairs the Industry Consortium for the Square Kilometre Array Radio Telescope, is a member of the Australian Computer Society’s Telecoms Board, its Data Taskforce.